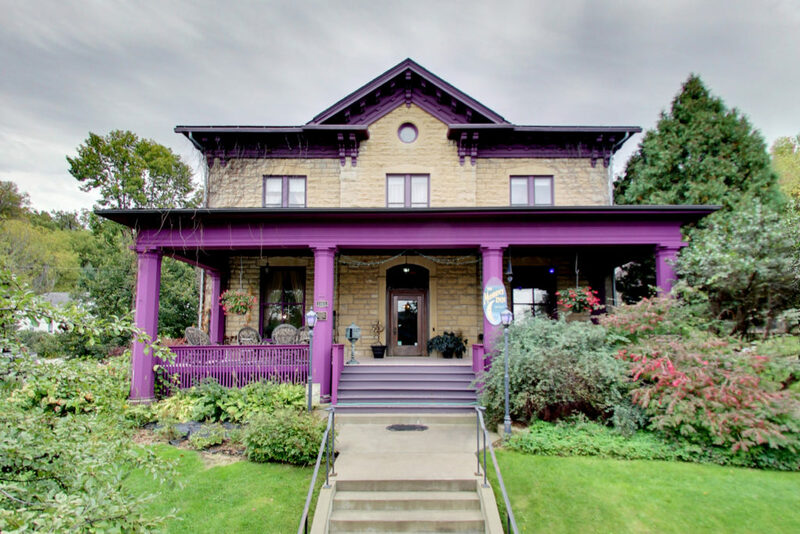 This lovely Gothic Revival home was built circa 1875 for Thomas F. Cowing and was originally surrounded by acres of farmland. It was constructed just a 1/4 mile from Fort Alexandria. Being one of the oldest homes in Alexandria, and known as the House of Seven Gables, it is a well preserved example of an early cottage home design from Andrew Jackson Downing. Downing changed the the perception of American architecture when his book “The Architecture of Country Houses” was published in 1850. Cowing was born in England in 1841 and immigrated to Wisconsin around 1850 with his parents. They, wanting to open a stagecoach business and hotel, moved the family to Alexandria circa 1862, where the family and children prospered. After serving in the Civil War, Cowing moved back to Alexandria and opened a general merchandise and farm store. A few years later he became Douglas County’s first sheriff and first treasurer. By 1880, he was President of the village council. It was in 1885 that Cowing moved his family to Fergus Falls to take up the position of Registrar of the U.S. Land Office. He sold the house to Gustave Kortsch, a German immigrant, who owned a local general store. The house must have provided luck to each of its owners for Kortsch’s store enjoyed such success that is transformed into a department store, and was bought by the Herberger Company in 1914. The home remained in the Kortsch family until 1948. It’s always exciting when an old photograph still exists that shows how much of a historic home exterior is intact, and how much has been lost. For the most part, the Cowing house is well preserved. As seen in the photo above, the decorative bargeboard in the gables and cutout wooden finials have been lost, as has the small balcony above the front porch, but the windows and two of the original porches still remain. Past photos of the interior show that much of the original character has been preserved as well. John Mason Spicer was born 1841 in Chambersburg, Pennsylvania, the son of a Swiss father and Irish mother, and the only boy in a household of nine children. In 1852 his family moved to Illinois where he later took a position as a clerk in a general merchandising firm. Eight years later he was transferred to St. Paul, Minnesota, but took up a position soon after with Ingersoll and Company. Looking to expand into Belle Plaine, he was offered a partnership with Ingersoll and became a manager of a new store in that area. While in Belle Plaine, he met his future wife, Frances Deming, and in 1871, moved to Willmar, and established a general merchandise and farm implement business with Andrew Larson. As the local community grew, Spicer furthered his business ventures by organizing the Kandiyohi County Bank in 1879 with other investors (of which he was president of the bank until 1884) and also formed the Central Land Company in 1882. It was in this same year that Spicer helped champion the idea of creating a railroad line through the county, connecting the region with Duluth and southwest Minnesota. The Lake Superior, Willmar, and Dakota Railroad Company was formed in 1883 with Spiced elected as its president. An astounding $1.25 Million was raised ($31 Million in today’s dollars) for construction of the new line. With James J. Hill’s support, the line from St. Cloud to Willmar was completed in 1886. Another line, from Willmar to Souix Falls was completed in 1888. 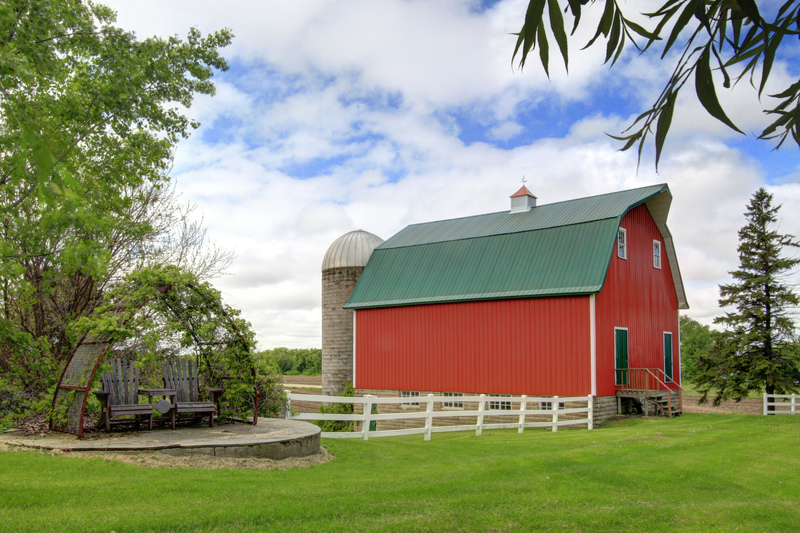 Having become a major land owner and developer in Kandiyohi County, Spicer built Medayto Farm on a large parcel of lakeshore on the south side of Green Lake in 1885. Ten years later he built his summer home Medayto Cottage over looking the lake. It was in the 1930’s that local fishermen began commonly identifying the home for locating fishing spots as Spicer’s Castle, and the name stuck. 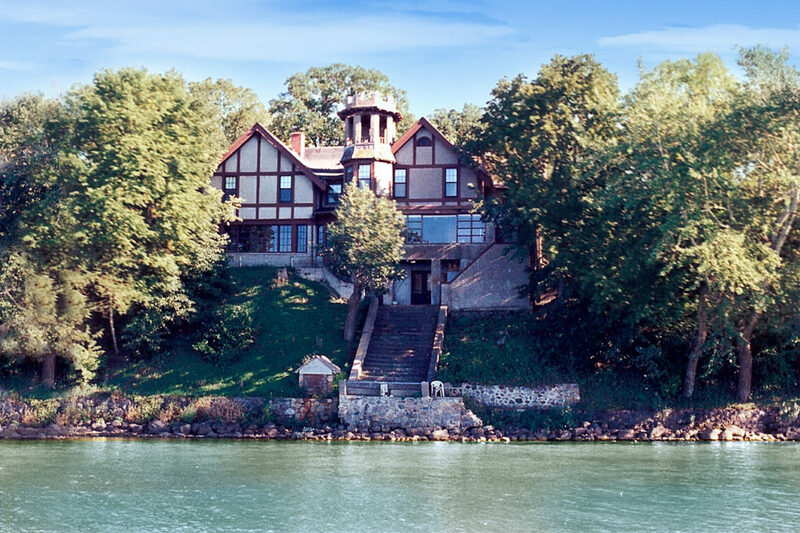 Now known as Spicer Castle, even though none of his seven children or grandchildren were allowed to call it a “castle”, the home was enlarged and redesigned in the Tudor Revival style in 1913 with the help of Minneapolis architect J. E. Mason. 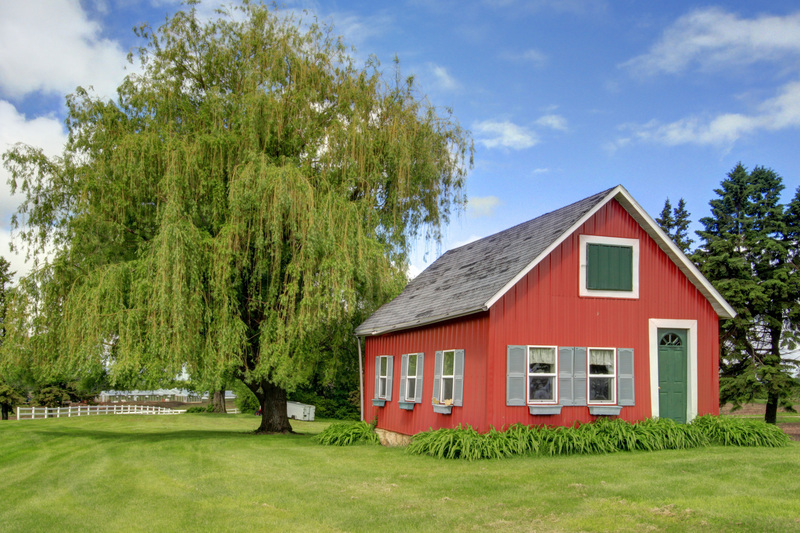 It sits on 5 acres of lakeshore and still has the original bee house, greenhouse, barn, and a small log cottage on the property, though all have been turned into private rooms for the bed and breakfast. It is listed on the National Registry of Historic Places. Below is a short video story of Spicer Castle with current owners, the grandson and granddaughter of John Spicer. 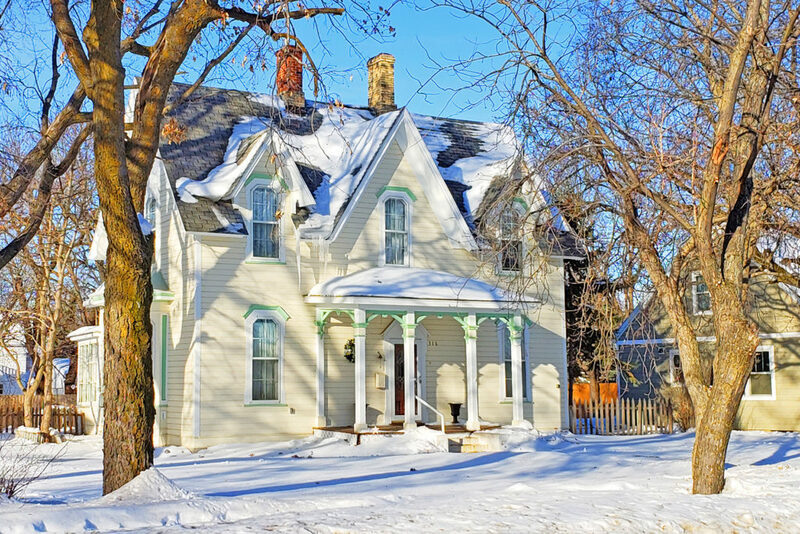 The Morningside neighborhood in Edina owes much of its land to an early pioneer who settled the area in the late 1850s. 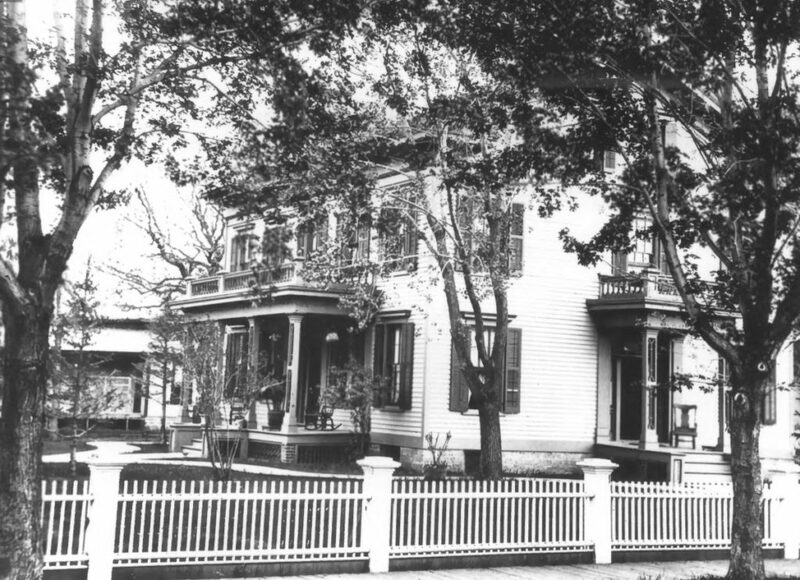 Jonathan Grimes, along with his wife Elizabeth, were the first to settle in the Edina Mills district when they opened up a small nursery in 1858. Known as the Lake Calhoun Nursery, the business supplied boulevard trees in the city of Minneapolis, especially the Catapla tree, which the Grimes introduced to Minnesota. 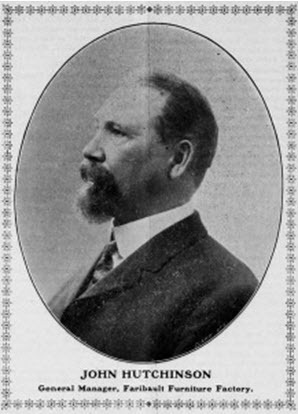 Grimes later became the first president of the Minnesota State Horticulture Society. In 1859, Grimes bought the Waterville Mill (later renamed the Edina Mill), making much needed improvents to the dam and spillway. The mill supplied flour to the Fort Snelling Reserve during the Civil War and operated 24 hours a day during the early years of the war to keep up with demand. Grimes sold the mill in 1867, and two years later, built his new home. 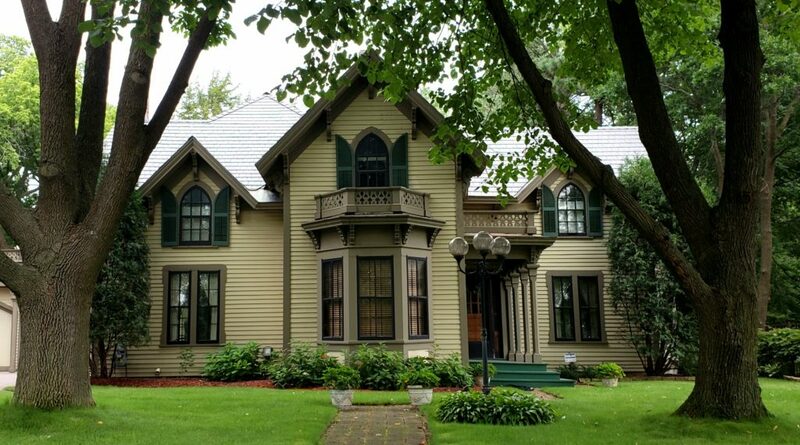 Now the oldest standing home in Edina, the Grimes house is a great example of Gothic Revival architecture and is thought to be designed from a pattern book published in the 1850s. It was placed on the National Register of Historic Places in 1975 and is a Heritage Landmark in Edina. 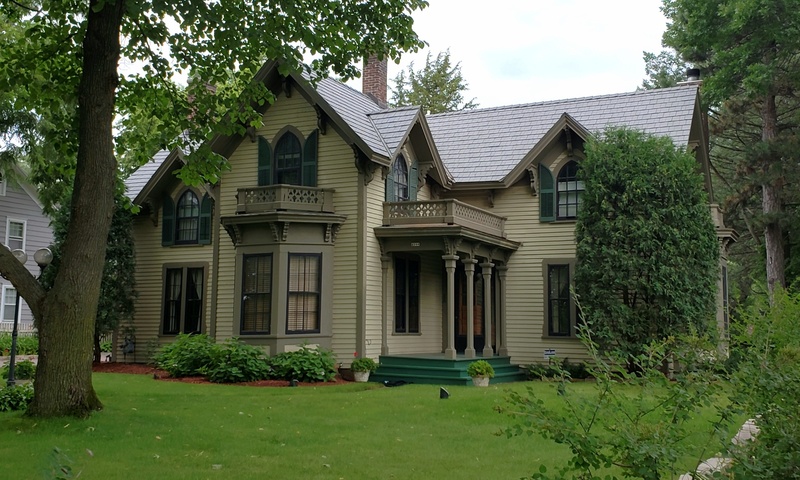 Built in 1883, the Burwell House was constructed by Charles Henry Burwell for his growing family, second wife and four children. 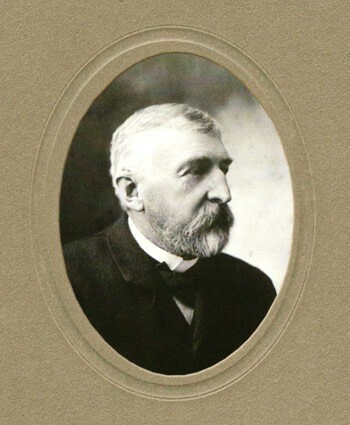 Mr. Burwell was the Manager of the Minnetonka Mills Company beginning in 1874 until the mill’s demise in 1886. The land was purchased from the mill at a cost of $1000, and the house was built from a design found in the Palliser’s American Cottage Home catalog (see below). It is said to have cost a mere $3260 to build. While the home is said to be in the Italianate style, I really feel it is an “in-between” house. The home does not have any strong Italianate features like window hoods, bracketed eves, or low pitched gables. In my opinion, it is more a cross between an Italian Villa, which features a central tower, and the Victorian Folk style. The home was built at the very end of the Italian popularity, but in the middle of Folk period. It is not always easy to pin down a single style to Victorian era homes, but it is easy to see architectural influences in some of them. One part of the home not originally built in 1883, is the wrap around porch. Added on somewhere between 1989-1906, it is a good example of the Eastlake influence, with its elaborate spindles and woodwork. 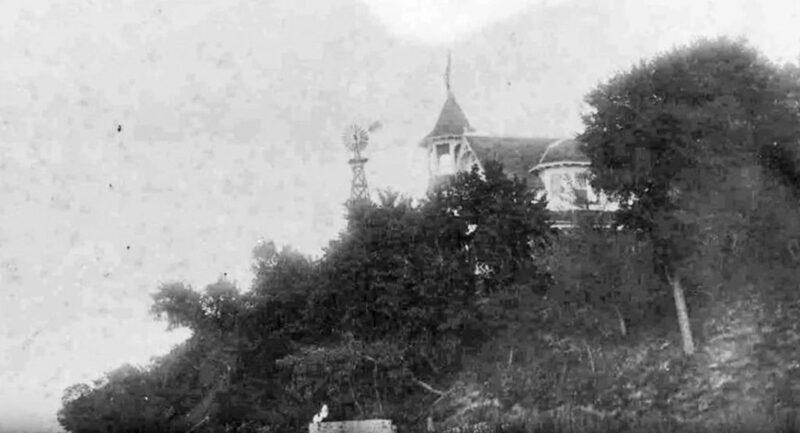 The cottage (upper left) was moved to the site in 1894 from the Minnetonka Mills site to house Mr. Burwell’s widowed mother. It is one of the original 15 cottages constructed to house mill workers. 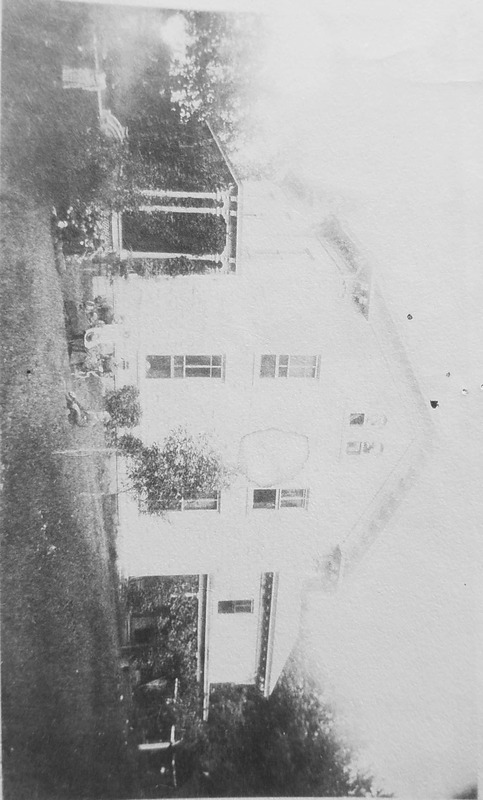 The summer kitchen (upper right) was added to the home in 1892. 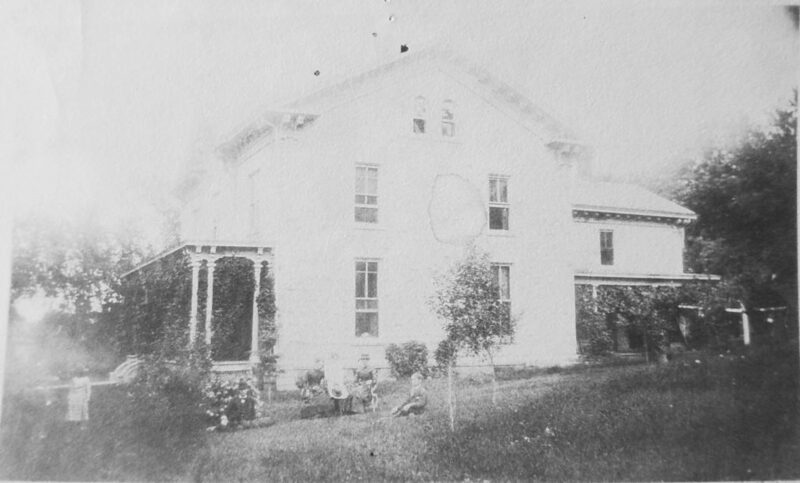 The mill office (lower left) was Mr. Burwell’s office and was moved to the site in 1894. It now serves as the Minnetonka Historical Society building.The final photograph is of the original ice house (lower right). 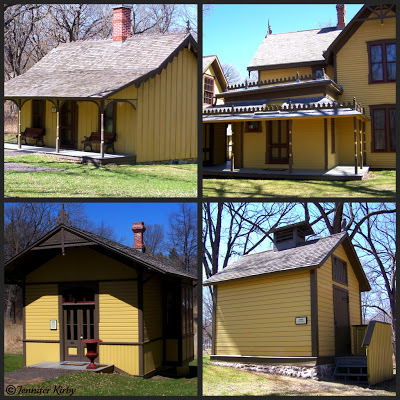 The home is listed on the National Registry of Historic Places and is owned by the City of Minnetonka. Summer tours are available from June to August. 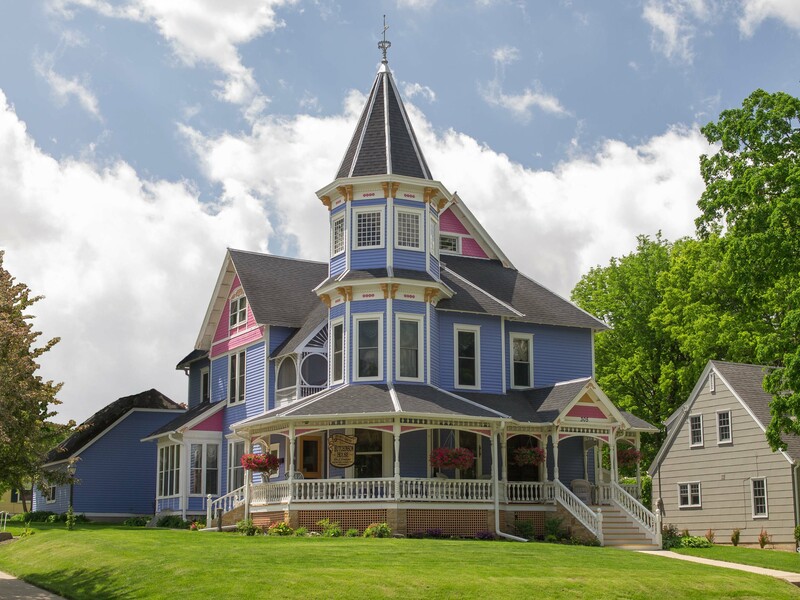 This fascinating Queen Anne Victorian home was built in 1894 by Anton Gag as the beginning of what would become a large family of seven children with his second wife Lizzie. Anton was born in Bohemia (now the Czech Republic) in 1858, and was 14 years old when he immigrated to the United States with his parents, sister and brother-in-law, and older brother Joseph in 1873. His eldest sister had arrived three years earlier and was settled in Cottonwood Township, just outside of New Ulm. While his mother moved to live with her daughter, Anton lived with his brother in St. Paul until 1979 when he moved to New Ulm. Details of the restored tower. 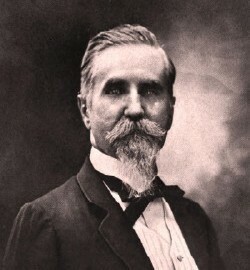 Known as an artist, Anton became the protege of August Schell, founder of Schell Brewery and leader of the Turnverein, the German fraternal organization that comprised of the who’s who of New Ulm. Apparently he showed so much promise as an artist that Schell sent him to art school in Chicago and Milwaukee. He married his first wife in 1886, but sadly she passed away 13 months after the wedding, as did his infant daughter a month later. Anton was by this time a respected artist, having a photographic studio to earn income. He also painted landscapes, portraits, and still lifes. Living in an area with strong German-Bohemian immigrant influence, as well as daily influence of old customs, folk songs, and German, his art was greatly influenced by his Bohemian background. His painting, “Attack on New Ulm During the Sioux Outbreak” was painted in 1904 and hangs in the State Capitol in St. Paul. As for the house, it was sold when Lizzie Gag died in 1918. It languished over the years and six owners until it was purchased by the Wanda Gag House Association in 1988. 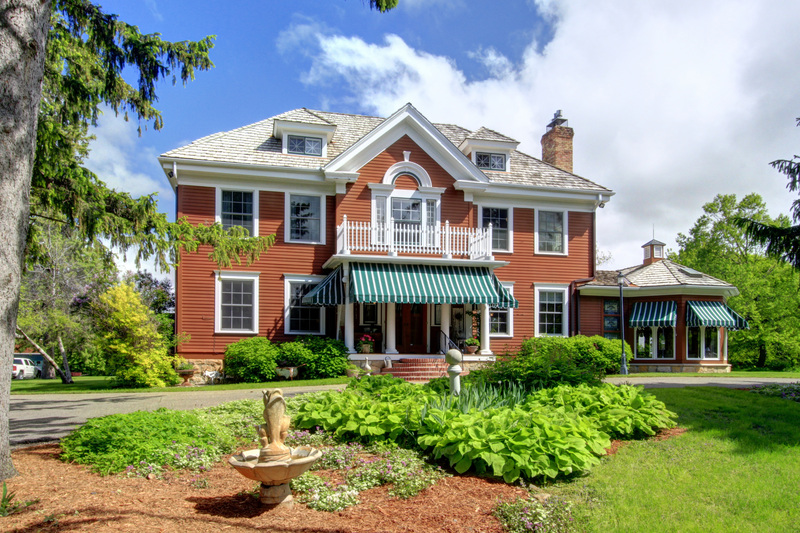 Over a period of 20 years, it was restored to it’s early 1900s appearance inside and out. Original stenciling in the dining room and parlor have been uncovered, and the exterior colors have been matched to the documented original colors. It was placed on the National Registry of Historic Places in 1979, before restoration. Today it is an interpretive center and museum dedicated to the artistic legacy of the Gag family which the public can tour and visit. 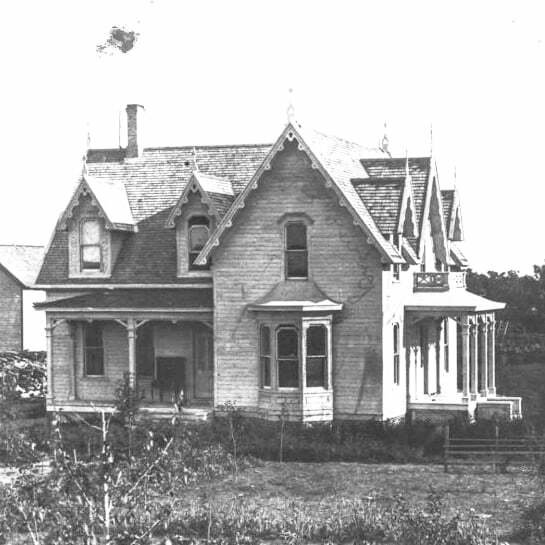 The house in 1894 newly built. The house in 1989 before restoration. 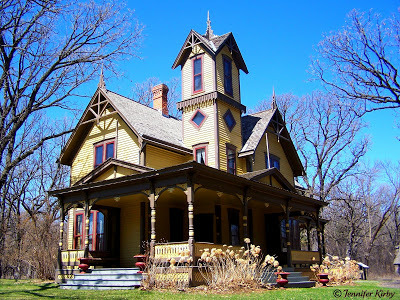 “Attack on New Ulm During the Sioux Outbreak"
Sitting high on a lot amongst some of the oldest and most prestigious homes in Faribault is a lovely Queen Anne Victorian home that was built in 1892 for John Hutchinson, a prominent and successful businessman in the area. 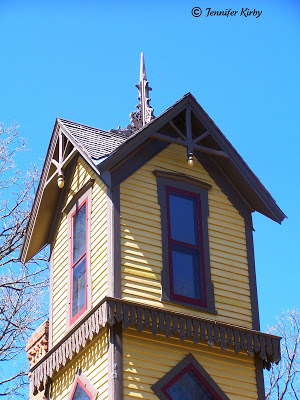 This “Painted Lady” features a unique three-story octagonal tower and an ornate porch which wraps around the front façade. Many of the original interior architectural elements survive such as pocket doors, gingerbread trim, inlaid hardwood floors, two elaborate fireplaces, and a beautiful decorative staircase (an amazing achievement for a home that at one time in its history was a boarding house and whose floorplan has been slightly altered over the years). 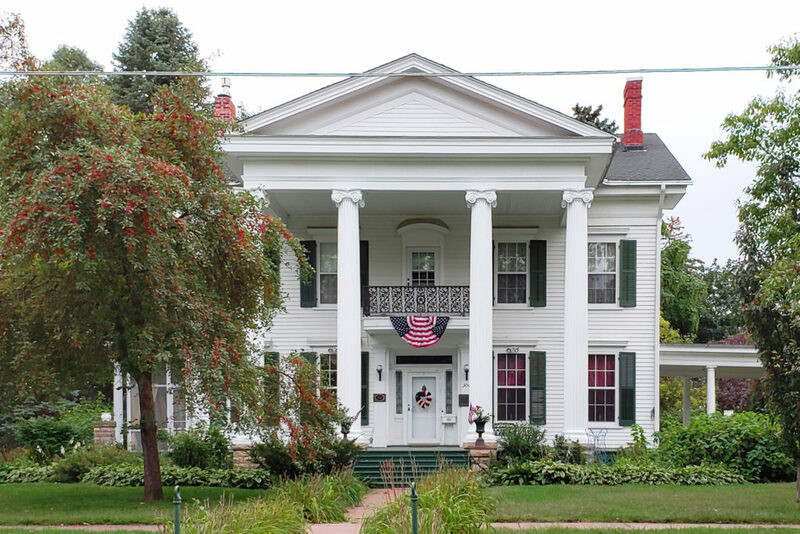 The home was placed on the National Registry of Historic Places in 1982 and is currently operating as the Historic Hutchinson House Bed and Breakfast. Hutchinson was born in Montreal, Canada in 1840, immigrating to the United States with his parents in 1851. Eight years later, he settled in Rice County and worked with his father in farming, as well as a contractor and builder. In 1862, he enlisted with the 6th Minnesota Volunteer Infantry Regiment, serving first in the US-Dakota War of 1862, and then moving south a few years later to fight in the Civil War. After mustering out in 1865, he returned to Minnesota to begin a career in the saw-milling and lumber industries. It was in 1885, after a stint as manager for the Flynt Furniture Company, he founded the Faribault Furniture Company, in partnership with Albert Stockton. The company became the leading manufacturer of furniture in the region. Not one to dabble in only one trade, he also partnered the Faribault Roller Mills and Faribault Loan and Insurance Company. 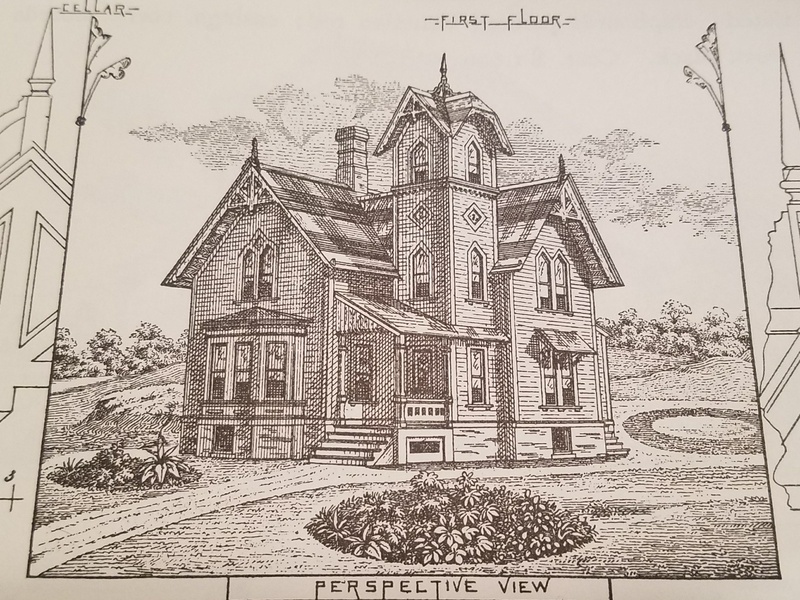 Times were hard for Hutchinson when it came to family, losing his first wife in 1876, and his second wife just a few years after moving into the Queen Anne home. He married his third wife in 1902. In 1915, he moved to California with his wife and youngest child, passing away in November of that year at the ripe old age of 75. His prominent home still survives though, and stands as a testament to the prestige and beauty of a bygone era in Faribault, Minnesota.